Travel Insurance... Is it Worth It? Many timeshare companies use travel insurance as a closing tool or as an additional benefit to members. Is it worth it? We looked at travel insurance companies and reviews of travel insurance in an attempt to find an answer. For those of you confused or unsure about travel insurance as many of us are, here's a brief review. Your insurance payments for your car, home, and business are ongoing. With travel insurance it's more likely you make one payment for one trip. Travel insurance can help to give you peace of mind. At its best, it will cover the financial risks of traveling, from annoying events such as missed flights or lost luggage, to more serious events like medical emergencies, evacuations or even terrorism. Travel insurance policies just like your other insurance policies vary in what they cover, and in how much they pay out. For small costs, you might have to pay out-of-pocket and get reimbursed. For larger costs like medical expenses, the insurer might step in and pay directly. The two main types of travel insurance are: Domestic--usually doesn't cover medical expenses and is less expensive. International--usually does cover medical expenses and is more expensive. Do you really need all or just a portion of the travel insurance offerings? Be sure to check your existing insurance coverage. You might already have travel coverage included with your health, life or car insurance. Check your credit cards too, especially those including airline mileage plus. Your credit card company may offer some sort of travel insurance if you book the trip with your card. 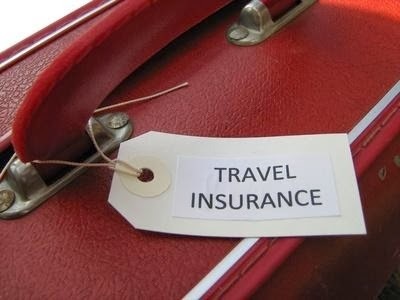 Your credit cards and existing insurance may provide as much travel insurance as you need without purchasing any more. Your current health insurance may only offer partial coverage or no coverage when traveling abroad. This is true for Medicare participants and those covered by national health services. Even though we don't like to think about accidents or illness happening during travel, they can and do happen. Having a known health issue, traveling in isolated countries known for limited or substandard medical facilities, or participating in the riskier adventure type travel (mountain climbing, scuba diving, extreme biking and hiking), are just a few of the reasons to consider medical insurance. Even the food and water in certain areas can cause illness and a need for medical assistance. In almost all cases your medical coverage does not cover you for an emergency evacuation. You may need this emergency evacuation insurance particularly if you're headed to an isolated area with limited medical service, and/or your trip involves a risky activity like mountain climbing. You want to make sure you have enough coverage to pay for an evacuation (which can be costly) to an area where you'll receive appropriate medical care. You may not want to get this coverage if you are on a $ 69 flight from LA to Las Vegas, but you sure want to get it if you've booked a once-in-a-lifetime, $10,000 Safari. A standard trip-cancellation or interruption insurance offers all or partial reimbursement for prepaid reservations if your trip is cancelled, interrupted, or delayed for an acceptable reason such as: You miss a flight, or need an emergency flight for a reason outside your control (car accident, inclement weather). Your tour company goes out of business and can't provide the trip that was promised. Most comprehensive insurance packages cover luggage that is lost, delayed or damaged, but it puts a strict cap on reimbursement for expensive items like jewelry, electronics, and photography equipment. If you check your bag for a flight, it's covered by the airline, but the airline may also have restrictions on expensive items. Your homeowner insurance may cover baggage also. But, if you have to check your expensive items, consider the baggage insurance. It will cover the deductibles and items excluded from your other policies. Travel insurers abound, and it’s up to each individual to do their research and decide if their particular circumstances warrant the cost of travel insurance. You could start with (insuremytrip.com) or (SquareMouth.com), travel insurance search sites where you can examine and compare the options of various insurance companies. Some of the more popular and better known travel insurance companies include: CSA Travel, Travel Guard, Travelex, World Nomads and Travel Insured. Tour companies and cruise lines offer travel insurance for their packages often at lower prices than outside insurers. The problem is, if the tour or cruise company happens to go out of business, there may not be money to cover your claim. Check them all out AND be sure to read the fine print! Are Owner Complaints about Maintenance Fees Valid? Sometimes it's difficult for even the most seasoned timeshare owners to figure out where their maintenance fees are going. Maintenance fees are a necessary part of owning a timeshare. The fee cost is determined by the HOA or the developer, depending on who owns the resort. Part of the fee is the owner's share of the cost of operating the resort. Another part of the fee is put into a reserve fund to pay for necessities that keep the resort looking good and help to maintain the value of the timeshare. Landscaping, external upgrades, furniture and appliance replacements are some of the items paid for by fees. In certain areas, there may be special assessments added to the fees to cover unexpected expenses such as damage from hurricanes... or as we recently saw, sinkholes! Timeshare owners need to understand that there is no guarantee that locks in cost of the maintenance fee for the term of their ownership. It can go up or down depending on the circumstances. A 2010 study for ARDA on HOA controlled resorts suggests that overall HOA controlled resorts are in pretty good shape. Maintenance fees were not reported as significant for most of the resorts. In fact, in the 2011 State of the Industry Report, the maintenance fees for HOA controlled resorts were lower than maintenance fees for all resorts. For purposes of the study, all of the three legal types of owner associations (HOA, property owners association, and condominium associations) were included under the term HOA. The main concern found by the study was the number of timeshares in foreclosure because of unpaid maintenance fees. According to the study, there are several factors contributing to the delinquency in maintenance fee payments. The number of timeshares that were vacant in 2010 is higher than reported for all resorts across the past five years. HOAs may need to provide owners help with rental and resale programs to help fill vacancies and help keep maintenance fee payments current. There's a need for resorts to keep owners aware of exchange opportunities, and to re-educate those owners experiencing financial or personal problems, of ways to help overcome problems and rekindle more interest in their timeshare. Club Tesoro in Cabo San Lucas came up with an interesting solution for dealing with unpaid fees. They let their owners, if needed, put the maintenance fee payment on hiatus. Of course, owners can't use the timeshare or other benefits until the fee is paid, but if they choose this option and keep their other obligations, they are not in arrears and can reactivate when they want to use their timeshare. In a recent TripAdvisor forum, owners at St. John's Sunset Ridge voiced concerns about the high cost of their maintenance fee of $1,400. About 5 years ago owners took over control of the property from the developers who had let the resort fall into disrepair. Now that the HOA's restoration work is almost complete Sunset Ridge owners are hopeful they will soon be able to lower the fees. And, in a RedWeek forum, owners shared their concerns about continually rising maintenance fees at Arizona's Diamond Resorts. Owners claim that their fees have increased an average of 20% per year in the past 3 years. One owner stated that he had been contacted by a board member of Diamond Resorts to expect an increase in fees for 2014...it was 44.5% over what he paid in 2013. On MyReporter.com, an owner asked this question,"I own two timeshares where the maintenance fees are getting too much to pay. Can I just walk away from these timeshares by not paying the yearly fees or will they pursue me? What to do? "Kathy Graham, president/CEO of the Better Business Bureau of Coastal Carolina answered, "The fast answer is no--you can't walk away--especially if it is a "deeded" timeshare. Graham went on to compare it to walking away from a mortgage. She advised that the best thing to do to be free of the fees would be to sign over the deed. Maintenance fees are not going to go away. They are necessary part of owning a timeshare and needed for the upkeep of the property and maintaining the value of your investment. As a buyer, educating yourself on the many issues (especially legal issues) surrounding a purchase of a timeshare is one of the best things you can do to protect yourself, and to insure you make a wise purchase. Legal issues on timeshares vary from state to state and country to country, so be aware of the laws of the area where you purchase your timeshare. As an owner, it's smart to keep current on all issues relating to timeshare ownership. If owners want to have more input into the decisions made by the HOA, they could serve on the board, or at least attend all board meetings. Make your voice heard and your vote count. Think of your timeshare the same way that you think of your home or car. Both need repairs and replacement items on a regular basis to maintain their value, and to enhance your personal comfort, safety and pride in ownership. All of the same conditions should apply to your timeshare.